If your business is a catering business, then the laws regarding gas safety in your premises are bound to be stricter than those for other businesses – and this makes perfect sense. After all, a gas explosion or leak of carbon monoxide would not only affect you and your personnel, but could seriously harm the general public and other property. These laws are rightfully in place, and they are actually easy to understand and follow. But what exactly are your duties regarding gas safety? Here’s a quick summary about your responsibilities when it comes to gas safety in commercial catering. In short, The Gas Safety (Installation & Use) Regulations of 1998 – more specifically, Regulation #35 – gives the employer (meaning, the person responsible) the duty to ensure that any gas appliance, installation, pipe work, or flue under their control is maintained in a safe condition to prevent risk or injury. This means that the person responsible (the employer) needs to ensure that the equipment is installed, commissioned, and maintained by an appropriately registered and qualified Gas Safety Engineer (such as one from www.milgas.co.uk) and that there is sufficient evidence thereof. What is an Appropriately Registered and Qualified Gas Safety Engineer? The employer needs to check the credentials of the Gas Safety Engineer. One who is appropriately registered and qualified is one who has the specific qualifications to do that specific kind of work. The best way to find such an engineer is by checking the Gas Safety register. 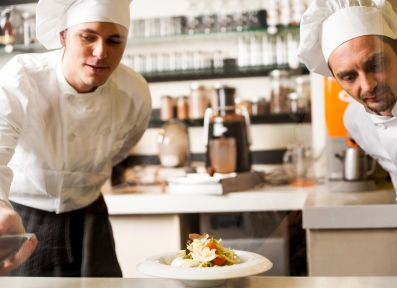 For a catering business, the engineer needs to be qualified to work with and on catering devices and appliances. Qualified engineers should have an ID and accreditation card on which their qualifications are mentioned. What does Sufficient Evidence Mean? Once the job (installation or maintenance) is done by the appropriately registered and qualified engineer, they must give you proper documentation thereof. This documentation is basically evidence of any work done, and a confirmation that all appliances – as well as your premises – are safe and in perfect working order. Of course, maintenance needs to be carried out by a qualified person – and then documented. However, the law provides also when and how often this needs to be done. After the initial installation, maintenance must be done at least every 12 months; meaning, there should be not more than 12 months between maintenance checks. For catering businesses, these engineers must have specific qualifications. For example, repairs in a fish and chip store should be qualified as: catering / natural gas / fish and chip range. Similarly, mobile catering vehicles should be maintained by: commercial mobile catering / LPG / commercial catering range cookers. Always check the proper qualifications of your engineer – it’s very important.